André Wells is the Founder and CEO of Events by André Wells (EAW) LLC, a highly sought after full service event planning firm in Washington, D.C. responsible for creating cutting edge productions. 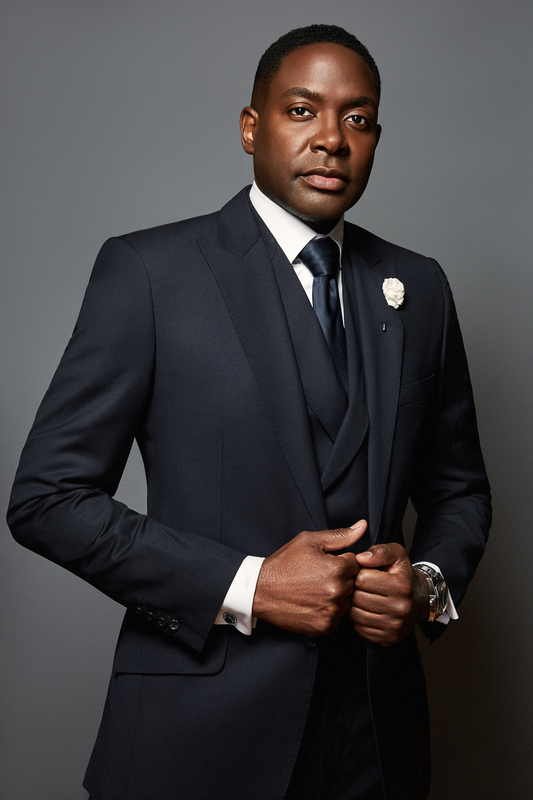 Wells is recognized as one of the most creative and revered event planners in the country, making him and his team of event professionals premiere tastemakers of the industry. Wells’ productions have been featured and syndicated across major networks and cited in numerous print and digital publications which include but are not limited to, Vogue, Martha Stewart Weddings, Ebony, and Capitol File. EAW is invested in producing high caliber, avant-garde events which cater to top-tier brands and high profile clientele. Some of his clients include The Walt Disney Company, BET Networks, AT&T, Alvin Ailey American Dance Theater, Comcast NBC Universal, FedEx, CNN, members of the White House Administration, The National Museum of African American History and Culture, the Smithsonian Museum of African Art, Essence Magazine, Jack and Jill of America, Stevie Wonder, Robert L. Johnson and Debra L. Lee. The EAW signature experience has included red carpet premieres, “OSCAR” parties, society weddings and major political fundraisers. EAW has coordinated numerous special events, nationally (LA, NY, Chicago, DC, Atlanta, New Orleans, Florida, the Carolinas, Philadelphia) as well as internationally. André is a member of many professional organizations, which include Alpha Phi Alpha Fraternity, the National Association of Guardsmen Inc. and the Consorts. Wells is a community leader and has devoted countless hours volunteering with inner- city schools as a mentor and motivational speaker. He also lends his time and resources to raise funds and awareness for various non-profit organizations and remains an active contributor to the business and social communities in Washington, DC. André Wells resides in Washington, D.C. with his wife and twelve year old son.